Blue is my favourite colour. It brings harmony to my soul. All shades of it I adore. 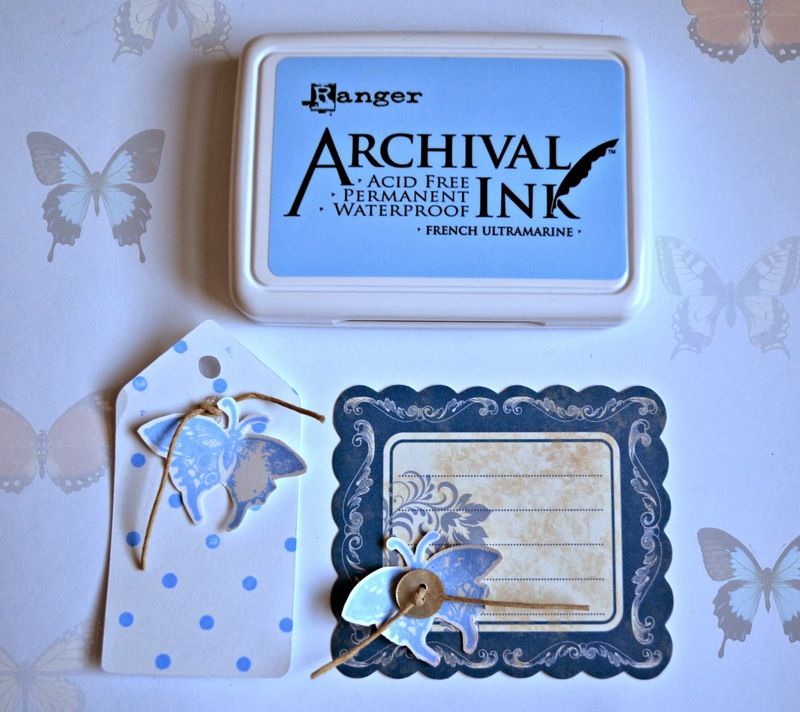 I couldn't resist buying the most devine blue ink pad from Stampin' Up. French Ultramarine. It is the softest medium blue I have ever seen. I used it to stamp a delicate butterfly and try out my new polkadot background stamp. I am in total love with the colour. I played around and made vintage chic tags.